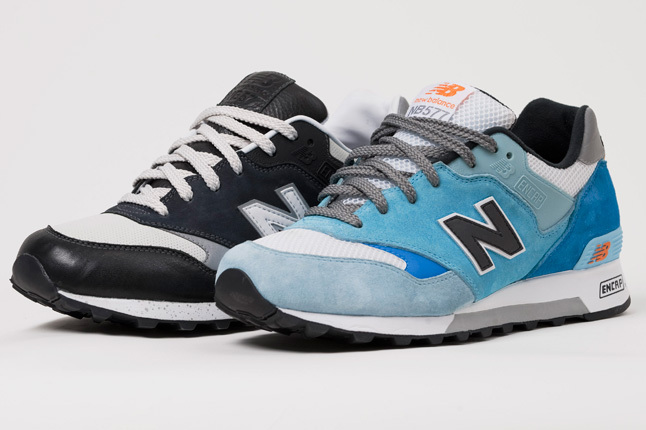 Highs and Lows x New Balance 577 - "Night and Day"
Perth's Highs and Lows works with New Balance on the "Night and Day" Pack. 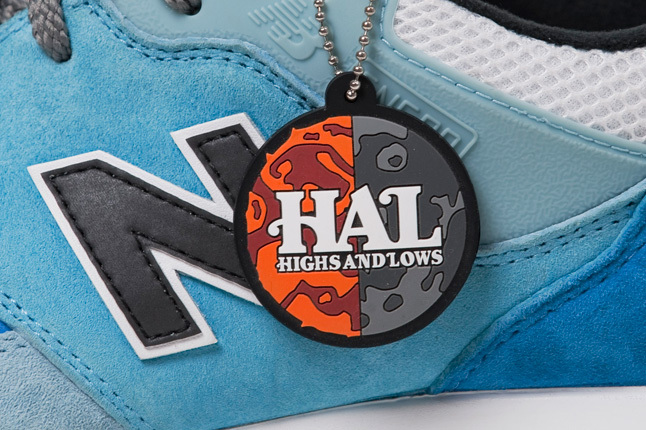 Australia's Highs and Lows is back again, transitioning from their recent Reebok GL6000 project to a fresh collaboration with New Balance. 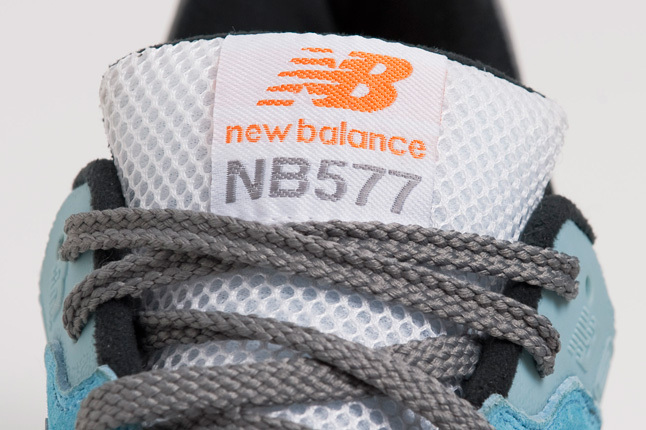 Using the 577 runner, they chose to run with a "Night and Day" theme. 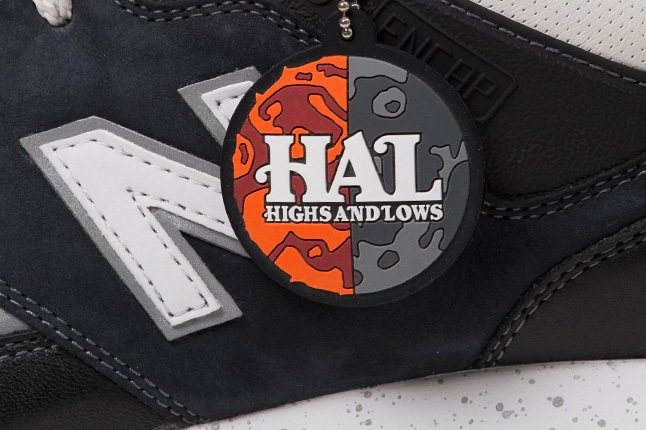 While simple in concept, the new project gave HAL an opportunity to create a couple pairs of good looking sneakers. 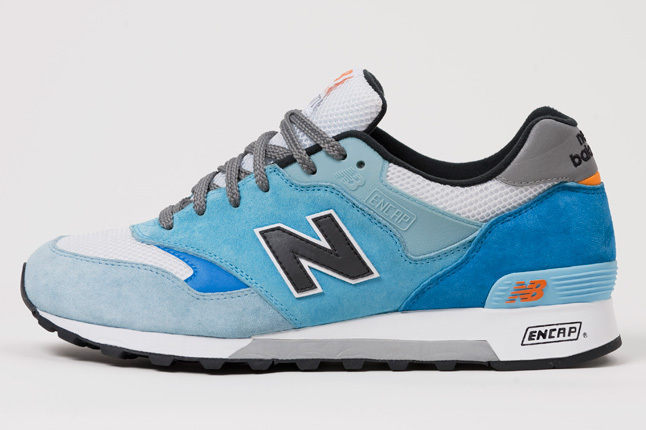 For the "Day" pair, they were clearly inspired by the beauty of Australia's bright blue skies and the Sun. 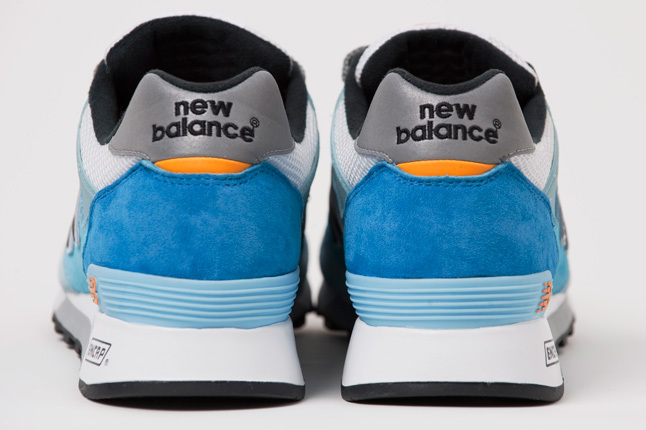 The upper is done in blue suede tones with white mesh filling in the toebox, tongue and around the ankle. 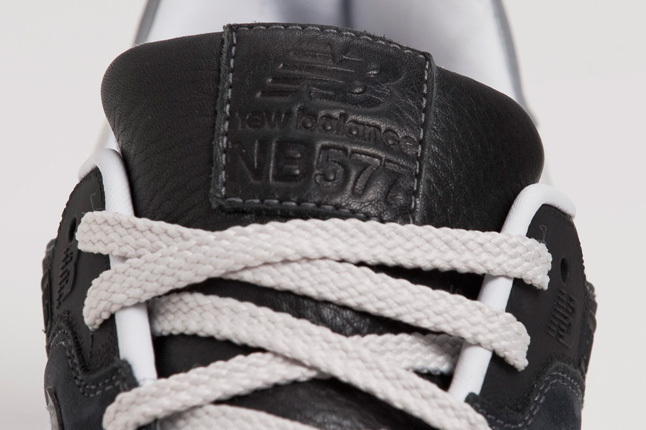 The inner liner and leather side panel branding are black, while a set of grey laces has been provided with the kicks. 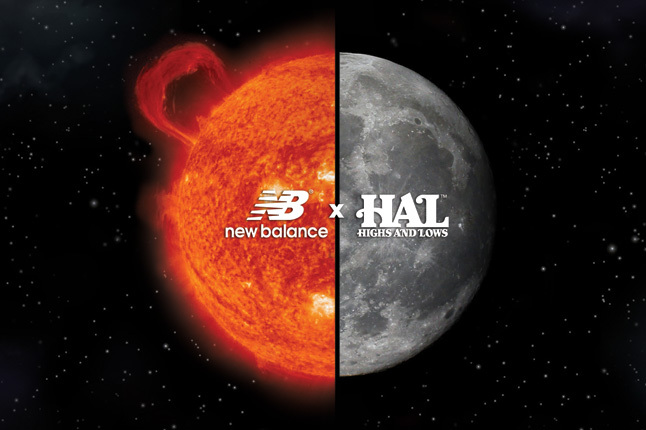 Minimal hits of golden yellow are seen on tongue and heel branding, as well as a sun graphic on the insole. 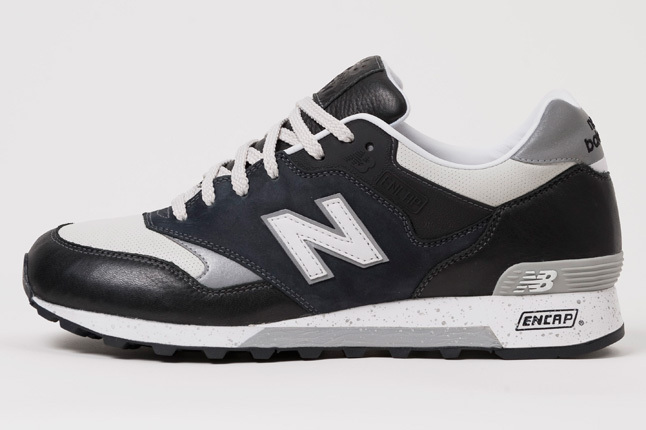 The "Night" shoe, as you may expect, was done in black full-grain leather and tonal nubuck. White perforated paneling was chosen for the toebox and ankle area. Making the shoes practical for night time use is appropriately selected 3M reflective trim on the forefoot, heel and logo border. 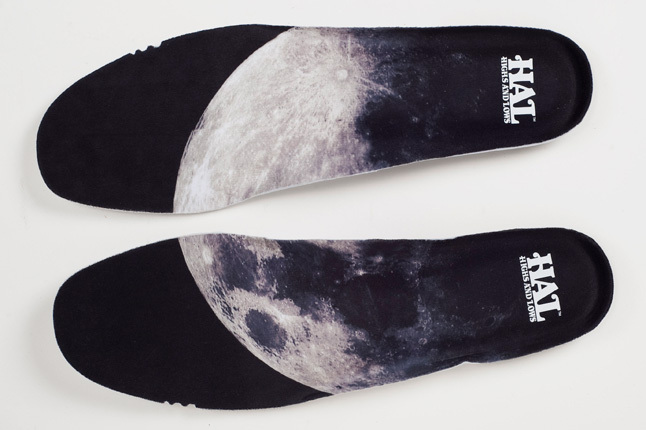 The insoles on this pair features a side-by-side moon graphic. 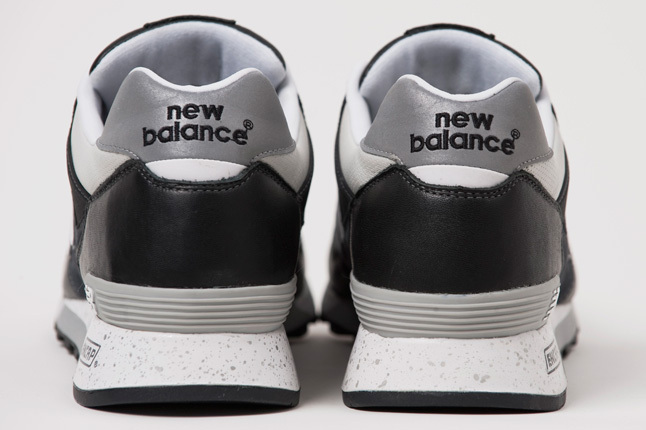 Last, but not least, a speckled midsole represents the stars and moon. Look out for an April 2011 release.